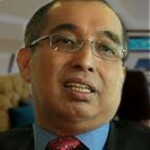 In response to Salleh’s statement that “It is not wrong to have differences in opinion, or to disagree with the government, but why involve other countries,” Zunar reminded the minister that his books of cartoons disagreeing with the government have been banned and confiscated in Malaysia since 2010, and he and his employees jailed and harassed. Zunar is currently facing sedition charges for a series of tweets. If found guilty, the cartoonist faces up to 43 years in prison. 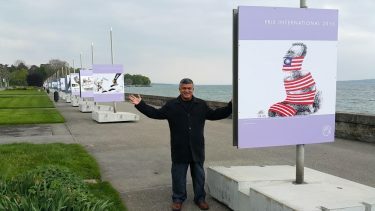 Along with Zunar’s work, the Geneva exhibition includes cartoons by Kenya-based cartoonist Gado and members of Cartooning For Peace. The exhibition was opened after Zunar and Gado were awarded the 2016 Cartooning For Peace Prize for showing courage in their fight for freedom of expression. The exhibition will run through June 4. 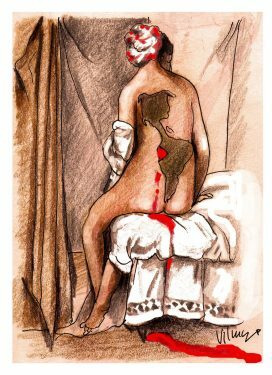 Ecuadorian artist Vilma Vargas is protesting the censorship of an exhibition of her paintings and cartoons. The head of Ecuador’s government-funded cultural organization, the Casa de la Cultura Ecuatoriana (CCE), has refused to publish a catalogue to accompany the exhibition of 50 of Vargas’ works. The catalogue included reference to civil rights abuse by the government of President Raphael Correa. CCE Chairman Iván Petroff also prevented the titles and contextual information to be displayed alongside the pictures and paintings. The exhibit’s theme is Freedom of Expression/Freedom of Opinion. The video component planned for the exhibition, which included animations, was removed. The show — HUARMIcaturas, por la libertad — opened May 4, World Press Freedom Day. Ms. Vargas was informed that elements of the exhibit would be censored the day before. 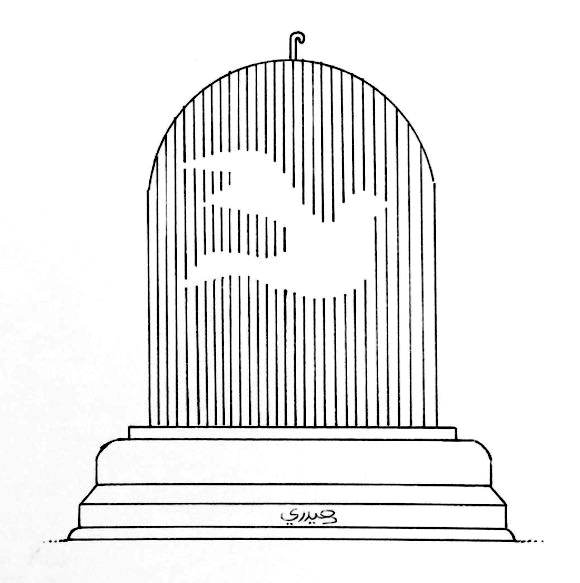 Vilma Vargas has been producing political cartoons for 21 years, most recently for the newspaper Hoy, which folded two years ago under pressure from Ecuador’s repressive Communications Law. Last year, someone went to great effort to break into Ms. Vargas home, though nothing was taken. Ms. Vargas interpreted the break-in as a message of intimidation. 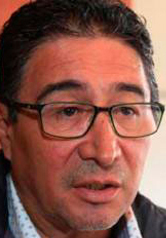 Her cartoons often target the government of Ecuador’s President Raphael Correa. “In the eyes of some Big Ag cannot be criticized or poked fun at.” That’s what an editor told cartoonist Rick Friday before firing the 21-year veteran of Iowa’s Farm News. Friday was fired after an unspecified seed company yanked advertising from the Des Moines based weekly following a Friday cartoon critical of the Monsanto, DuPont Pioneer and John Deere companies. The cartoon in question highlights the disparity between farmers’ earnings and the salaries of the heads of agricultural seed and supply companies Monsanto, DuPont Pioneer and John Deere. 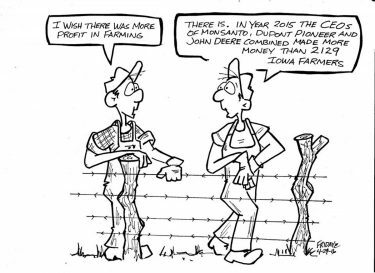 The CEOs of those three corporations make more money per annum than 2,129 Iowa farmers combined, the cartoon notes. Incidents of corporate censorship include the recent firing of African cartoonist Gado and the termination of Bulgarian animator Chavdor Nikolov. In 2012, Canadian cartoonist Dan Murphy claimed corporate pressure caused the removal of an animated parody of an Alberta-based pipeline company from his newspaper’s website. 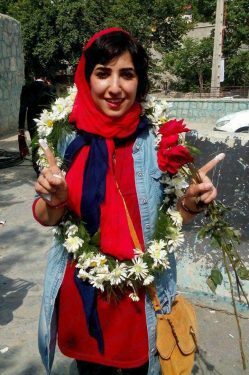 Atena Farghadani, CRNI’s 2015 Courage in Editorial Cartooning Award winner, was freed from Evin prison on Tuesday, May 3, 2016. Ms. Farghadani was first arrested in August, 2014, after posting a cartoon on Facebook in protest of the Iranian Parliament’s plans to restrict women’s reproductive rights. Upon her release three months later, Ms. Farghadani posted a YouTube video documenting her brutal treatment in jail. Following the YouTube video, Ms. Farghadani was re-arrested in January, 2015 — and five months later handed a 12 year, nine month prison sentence for counter-revolutionary activity, undermining national security, insulting the Supreme Leader, the Iranian president, Members of Parliament and jail officials, and for spreading propaganda against the Islamic Republic. Last month a successful appeal by lawyer Mohammad Moghimi saw Ms. Farghadani’s prison sentence reduced to 18 months. Ms. Farghadani was acquitted of counter-revolutionary activity and undermining national security, and her sentence for insulting Supreme Leader Ayatollah Ali Khamenei was suspended for three years. Her sentence for insulting the president and other individuals was converted into a monetary fine. Atena told CRNI that she wants to stay in Iran and continue working as an artist. Her lawyer, Mohammad Moghimi, also told CRNI that he’s very happy for the release of his client and as a human rights lawyer, he will continue defending activists and individuals whose human rights has been violated. Everybody at Cartoonist Rights Network International is elated at the news that Atena has been at last freed. From the beginning her incarceration and the insults and indignities she has been subjected to have been illegal and unwarranted. Personally, I suspect she will rise above the trauma and continue to present her opinions as freely and independently as ever. We celebrate her courage in the face of adversity. As well we congratulate and thank all other organizations, especially Amnesty International, for having done such a wonderful job of bringing pressure onto the appropriate Iranian authorities to revisit and nullify her unfair convictions. We also thank those Iranian authorities whose good judgment and commitment to justice led to her eventual release. A pair of journalists in Turkey have been sentenced to two years in jail for illustrating their columns with a Charlie Hebdo cartoon. Hikmet Çetinkaya and Ceyda Karan‘s columns appeared in Turkey’s Cumhuriyet newspaper on January 17, 20015, as part of a special section in support of the French satirical magazine that had suffered a terrorist attack 10 days prior. 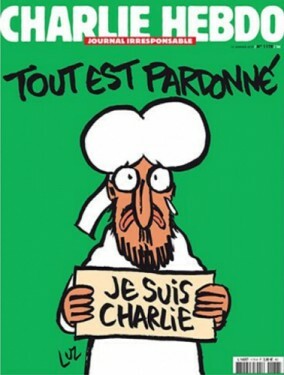 The cartoon in question shows a weeping Muhammad holding a “Je Suis Charlie” sign under the words “Tout Est Pardonné” (“All is forgiven”). Turkey’s President Recep Erdogan was among those who filed complaints following the cartoon’s publication. 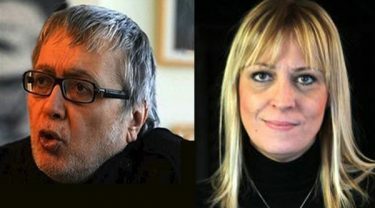 Çetinkaya and Karan were subsiquently charged with “insulting religious values” and “encouraging hate and enmity.” They were found guilty on April 28, 2016 and transferred to prison, where they may soon be joined by Cumhuriyet editor-in-chief Can Dündar and the newspaper’s Ankara bureau chief Erdem Gül, who are currently facing espionage charges over a story linking Turkey’s intelligence agency with the arming of Islamist factions in Syria. Reporters Without Borders awarded Cumhuriyet its Press Freedom Prize in 2015 for that newspaper’s integrity in journalism and courage in the face of increasing suppression of free speech under the government of President Erdogan. A lawyer for imprisoned Cumhuriyet columnists Hikmet Çetinkaya and Ceyda Karan has said their conviction will be appealed. Iranian cartoonist Hadi Heidari has been released from Tehran’s Erin Prison. Mr. Heidari had been arrested by government agents on November 16, 2015, at the offices at the reformist newspaper, Shahrvand. The cartoonist was taken into custody after a judge ordered Hadeiri to serve the balance of a 2013 suspended sentence stemming from a cartoon deemed anti-state. 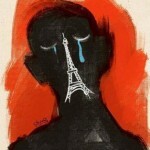 Heidari’s November arrest came shortly after he posted a cartoon in response to the Paris terrorist attacks which was shared around the world. As Hadi Hadeiri was released, three other journalists were jailed in Iran on charges of “spreading propaganda against the ruling system, conspiring against officials and insulting authorities.” According to the Committee to Protect Journalists, Iran has been one of the world’s most notarious countries for jailing journalists since 2009.